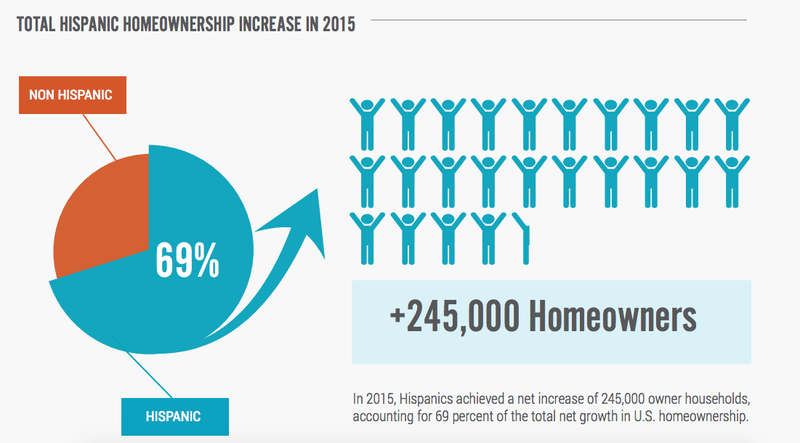 2015 marked the fifth consecutive year that Hispanic homeownership has been on the rise, with 245,000 new owner households entering the market during the year, and a remarkable 531,000 total if you add in Q4 2014. Even with Hispanic housing market trends on the up and up, the numbers show that much of this group's homeownership potential remains untapped. The Hispanic population is growing the fastest in the country's Midwest and Southern regions, where the percentage of Hispanic real estate agents is significantly smaller than the country's already-low 7 percent average. A surge in purchasing power, entrepreneurial drive and significant income gains have led one — and only one– American demographic to defy national homeownership trends. Hispanics, who make up 18 percent of the total U.S. population, achieved a notable 2-percentage-point homeownership increase (from 44.5 percent to 46.7 percent) between the final quarter of 2014 and the end of 2015. A comprehensive report by the National Association of Hispanic Real Estate Professionals (NAHREP) explains how this came to be and why. One — and only one — American demographic is defying national homeownership trends. Yearly and quarterly Census data demonstrate that the national homeownership rate has been decreasing slowly, and the homeownership rate for all major population groups (save Hispanics) declined by around 1 percentage point last year. However, 2015 marked the fifth consecutive year that Hispanic homeownership has been on the rise, with 245,000 new owner households entering the market (69 percent of the nation’s total net growth) during the year, and a remarkable 531,000 if you add in Q4 2014. In comparison, this group experienced a net loss of homeowners in 2010, when there was a decline of 56,000 owner households due to the subprime mortgage bust, before improvements resumed in 2011. It wasn’t until this year, though, that the Hispanic homeownership rate reversed its downward trend post-crisis. This is because despite new homeowners entering the market for several years, the Hispanic total population has been booming, making it difficult for household gains to catch up. Even with Hispanic housing market trends on the up-and-up, the numbers show that much of this group’s homeownership potential remains untapped. Due to rising rent costs and the dream of building equity, 4 million Latinos say they would like to buy a home, but only 1.5 million can afford to do so, according to a report by the Demand Institute. Citing “control over one’s living space” and having a “good place to raise children” as their biggest reasons, a larger percentage of Hispanics value homeownership compared to the general market. It’s still an integral part of their American dream. Much of the Hispanic population’s homeownership potential remains untapped. Still, Latino homebuyers who apply for mortgages experienced a higher denial rate (18 percent) than their non-Hispanic white counterparts (11 percent) between 2013 and 2014 and are often on the “underwriting margins,” the NAHREP report noted. But although members of this demographic might well be able to afford a mortgage, many come to the table with unconventional sources of income as self-employers or with seasonal or transitory jobs. 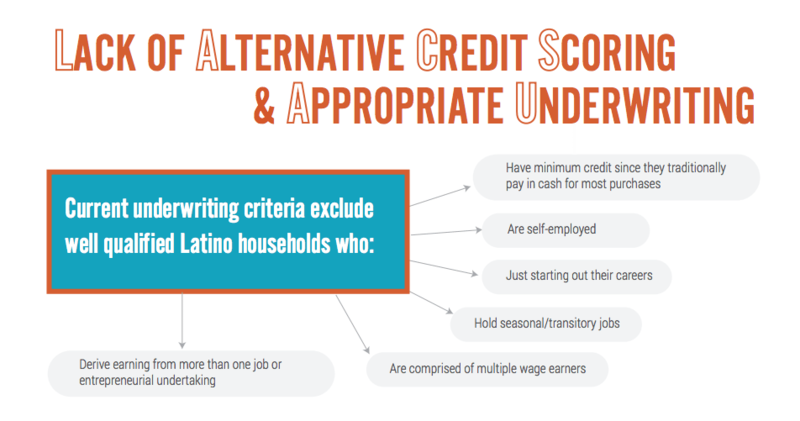 The narrow and inflexible nature of our credit scoring system creates a major barrier, with 27 percent of Hispanic consumers denied credit based on inaccurate analyses. NAHREP mentioned this as a problem area that would be well served by product innovation that targets alternative and broader-reaching credit score systems. 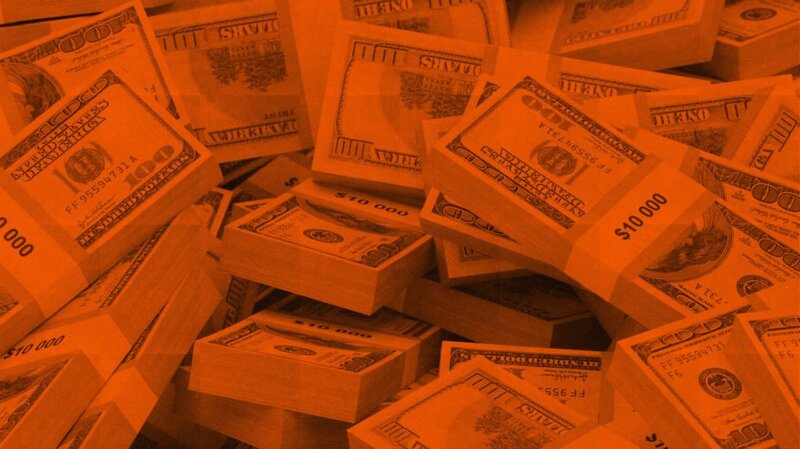 Other obstacles include down payment misconceptions and housing inventory shortage. Some Hispanic homebuyers overestimate what’s required to purchase a home. Many do end up putting less than 5 percent down, which in some cases ends up raising the cost of their mortgage payments and reduces overall affordability. Some Hispanic-heavy markets such as Los Angeles, San Diego and Maricopa, Arizona, are offering down payment assistant programs for first-time homebuyers, but few consumers are familiar with this available resource. Speaking with 13 years of real estate experience, Leo Pareja, a broker for Keller Williams in the Washington, D.C., metro, said that with the highly regulated lending environment that we live in, agents serving the Hispanic demographic could benefit from working with nonbank originators. The Hispanic population is growing the fastest in the country’s Midwest and Southern regions, where the percentage of Hispanic real estate agents is significantly smaller than the country’s already-low 7 percent average. California (15 million) continues to lead the list of the states with the highest Hispanic population, followed by Texas (10.4 million) and Florida (4.8 million). With Latinos expected to comprise 50-plus percent of first-time homebuyers, and a quarter of Hispanic buyers preferring to work with someone who can speak Spanish, the NAHREP makes a strong case for “competent professional guidance,” including language skills and cultural awareness. Latinos are expected to comprise 50-plus percent of first-time homebuyers. Agents who want to expand their outreach efforts to the Hispanic population should start with community. Pareja, who is equally fluent in Spanish and English, explained that creating relationships across cultures won’t manifest through paper-pushing. Think about how you’d approach trying to make friends in a new place. You might work out at the gym instead of at home, or frequent the same grocery stores and coffee shops to naturally become a familiar and relevant face. As an agent reaching out to a group of people clearly eager to learn about homebuying, take the opportunity to hold seminars in your target locale and talk about how to make this dream a reality. Recommending that agents learn a whole new language is unrealistic, and that’s when a real estate team can be a game changer, Pareja added. If you’re looking to work with Hispanics as a long-term business avenue, recruit someone who’s entrenched in the community, and ideally who’s already a real estate practitioner. The generational makeup of this demographic shift is an equally significant piece of the homeownership puzzle. Of the nation’s 72.2 million millennials, 21 percent are Hispanic (according the NAHREP report) and driving up household demand as they prepare to make their first purchase. Pareja also pointed to a major cultural cornerstone for many Hispanic millennial buyers: the propensity to opt for multigenerational housing. Given a sizable amount of money, it’s assumed they would purchase a home for their parents rather than a home for themselves. In addition, Hispanic millennials are more likely to speak English and think of themselves as the “typical American,” therefore preferring a more high-touch, high-tech form of communication with their agent. In your outreach efforts, discard the idea that there’s a one-size-fits all approach to language and culture, and you’ll resonate more effectively with your clients. Connect with me on Facebook! | Follow me on Twitter!